He has studied Instrumentation, Machine Building and Measurement Technology at the University of Shanghai for Science and Technology (USST) from 1978 to 1985 and received his B.Sc degree at the USST and M.Sc. degree at the Shanghai University. After the master study he worked as university assistant and lecturer at Faculty of Mechanical Engineering of the USST. 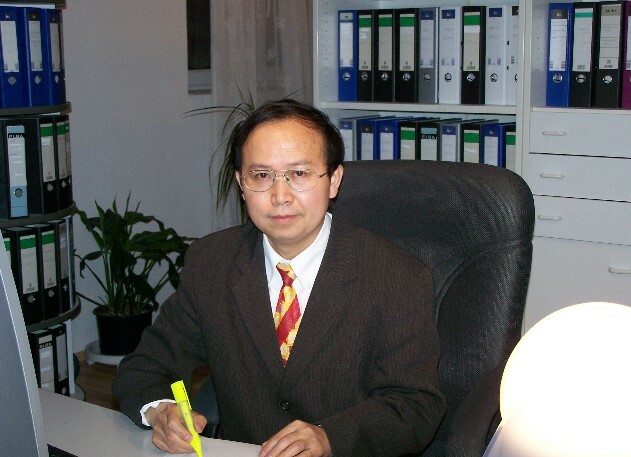 1992 he came to Germany and did research works in the areas of Precision Engineering, Electrical Engineering and Measurement Technology at Dresden University of Technology, where he has received his Dr.-Ing. and Dr.-Ing. habil. titles 1996 and 2000, respectively. Parallel to his doctoral research he worked part time for development of computer-controlled measuring systems in Fraunhofer-Institute of Ceramic Technology and Sinter Materials Dresden (1994-1999). He has worked as research fellow at the University of Kassel (1999-2000), and at German Research Centre of Earth Science in Potsdam (2000-2001), and as researcher and developer in ASM GmbH Germany (2001-2004).